You guys know Jodi Meadows, right? I don't see how you could not. She's the most awesome person that ever awesomed (even before she became an Air Pirates fan). And she wrote a book. It's called INCARNATE about a world where everyone is reincarnated and remembers their past lives and builds on their past lives . . . except for one girl. Ana's new, and nobody knows why, and worse, they don't know what happened to the person who was supposed to be reincarnated in her place. UPDATE: Read an excerpt here. So yeah, it's a tough life for Ana, but an awesome book for you! And it comes out tomorrow! And I'm giving a copy away to one of you lucky people! 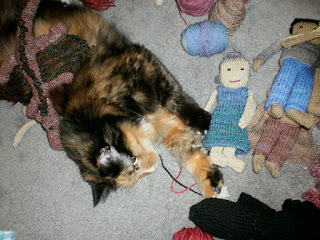 Even more, 45 bloggers are participating in a treasure hunt with clues, activities, and lots of prizes including signed books and handknit fingerless mitts. Simply by participating in MY contest, you automatically gain entries for Jodi's BIG drawing to win some of that stuff. Then you can head to the next activity for more INCARNATE fun! There are 19 INCARNATE activities around (I linked a few below). The more you do, the better your chances of winning the grand prize. For more information on the INCARNATE Theater Treasure Hunt, check out Jodi's post here. All captions will be entered for Jodi's grand prize drawing. Additionally, I will choose my favorites and post them here on Wednesday. 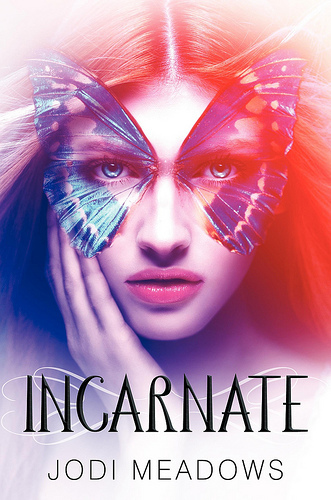 Then you will vote for a winner and that way no one can get mad at me that person will get a copy of INCARNATE from me (unsigned, but I will send it internationally). UPDATE: The finalists for my contest have already been chosen, BUT any caption entered on this form will still get entries for Jodi's grand prize drawing, until Monday, Feb 6th, 11:59 pm EST. If you have any questions, post them in the comments. What Are Your Top 5 Books? So, your favorite books. I know, I know. Choosing favorite books is like choosing favorite children, but I figured I'd give it a shot. 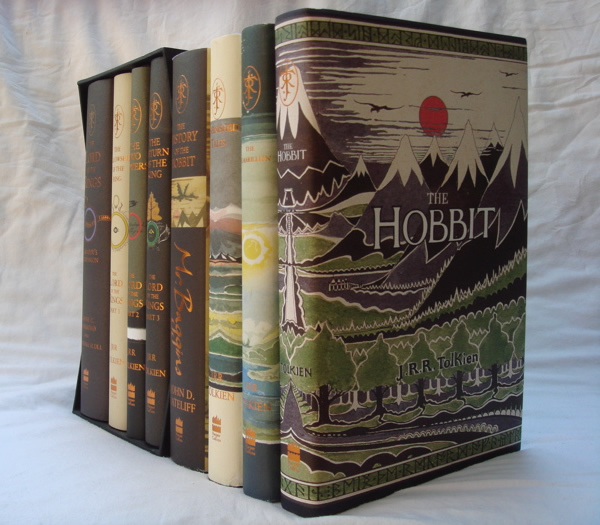 For the record, these are my favorite books, which is a different thing than what I would consider the "best" books. For example, the best Nazi movie might be Schindler's List, but my FAVORITE is Indiana Jones and the Last Crusade. 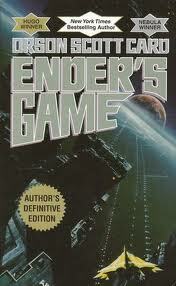 Ender's Game -- Yeah, the computer game that explores his psyche is a little much, but the kid's a tactical genius with a heart. I will never get tired of that. 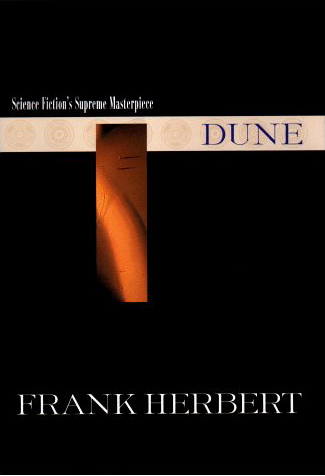 Dune -- I talked about this once, but for those who missed it: sandworms, desert ninjas, Sting. 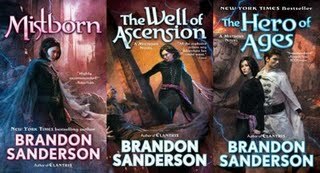 Mistborn Trilogy -- The newest one on the list, so I'm not sure how it will stand the test of time. But at the moment? Original and awesome superpowers, clever heists, immortal tyrants, and subverted fantasy tropes all over the place. 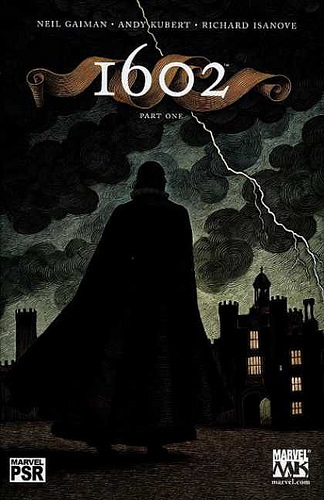 Marvel 1602 -- An interesting look at what Marvel superheroes might be like in the 16th century rather than the 20th. 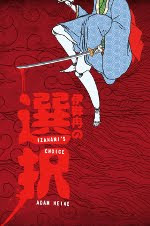 Hey, I had to put one graphic novel on the list, and this one creeps me out less than Watchmen and V for Vendetta (though both of those are good as well). Plus it's written by Neil Gaiman. Double win. Now that I look at this, it's interesting to note that 4 out of 5 of these revolve around the Chosen One trope. I shouldn't be surprised, I guess. Of course you all hate my top 5. So what are yours? Yeah, I finally got an e-reader for Christmas (Kindle Touch, specifically). Some of you know where I stand on these things. Let's see how the talk measures up to my actual experience. I can buy any book and read it RIGHT NOW. (My previous solutions have been to either (a) pay shipping costs equivalent to the price of the books or (b) wait months and months until some trusted friend can bring my Amazon purchases to me). 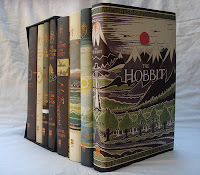 I can carry around hundreds of gigantic books in one hand. It lays flat on the table, so I can read while doing practically anything else. A battery life I (almost) never have to think about. The availability of free classics. Occasionally losing my place when my kids bump the screen. The relative slowness of flipping to an appendix and back (in a book like, say, Dance With Dragons, where I need to remind myself who all these hundreds of characters are). Scads of features I currently consider useless (crappy web browser, "X-Ray," highlights and notes -- seriously, guys, I just want to read the book (although I admit I may find a use for these features later, especially if they improve their web browser) (and it's not like the features get in the way or anything)). Looking at world maps. 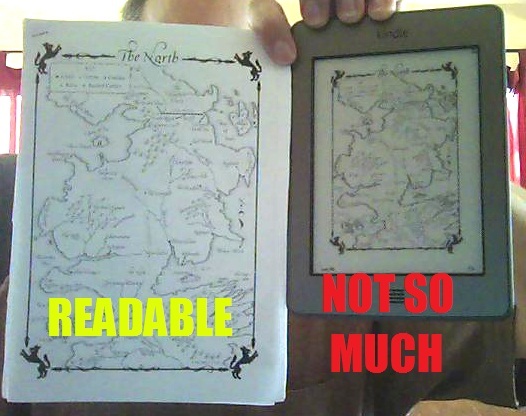 (Similar problem to PDFs, except you can't zoom). The last two could be fixed with better software. I don't know if they will be, but they could be. Also Random House has really impressed me by releasing printable Dance With Dragons' maps on their website. Seriously, that alone changed my reading experience of Dance With Dragons from HATE to PUT UP WITH (and LOVE when I don't need the maps). And does anyone know a better way to deal with PDFs on this thing? Jean Valjean is an escaped convict, recaptured in a small French village for stealing from a bishop. But when the bishop vouches for him, even gives him more than he stole, Valjean devotes his life to helping others. His sins catch up with him, however, when a relentless police inspector named Javert comes looking for him. No, I am not going to summarize everything. This is a big, freaking book! 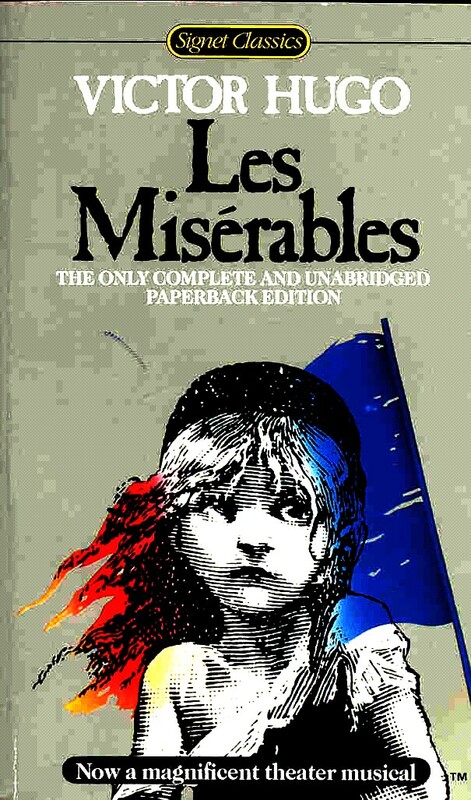 Besides, Jean Valjean's story is the one I really love. But it took me four months to read this book, because of the loooong descriptions of Waterloo, the history of convents and Parisian sewers, the social development of French street urchins, etc, etc (etc). Not that these descriptions were bad or even boring. It's just...like being forced to study 50 pages of history -- even interesting history -- before being allowed to get back to the plot. If you love France or history or 45-page diversions about criminal argot, then you definitely should read this. You should probably read it anyway, but enter with patience. If I had to read this in high school (as a lot of my friends did), I would have hated it forever. I'm glad I read it now, though. It was worth it. In the last couple of months, I've seen a LOT of bloggers suffering blog fatigue: that thing where they lose interest or don't know what to write about or feel like it's all been said, and consequently they stop blogging (or at least cut back significantly). Ain't nothing wrong with that. Blogging's hard, and the benefits are often nebulous. Often, I find myself hating every topic I've thought of. I can't speak for anyone else, but these are the things I tell myself when my motivation starts to wane. "I have nothing new to say." 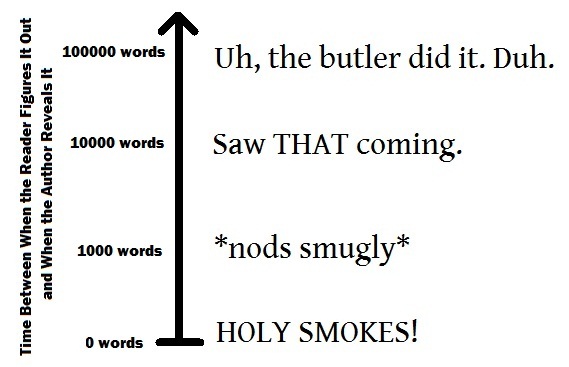 Seriously, how many posts are out there about prologues and chapter titles? Does the world really need one more? Well, yes and no. Even assuming I have nothing unique to add (a big assumption, cuz hey, it's me), just because I've read ten posts on the subject doesn't mean you've read any. Much as I hate to admit it, blog posts are transitory. Even the almighty Google can't stop millions of them from disappearing everyday. And we forget things. Think about church for a sec: billions of pastors preaching trillions of sermons over two thousand years, but are they successively unlocking new, hidden depths of the Bible? Mostly, no. We go to church and hear the same truths over and over, not because God demands it, but because we need to hear them again. Blogging's exactly like that, just less . . . holy. "I don't know what to blog about." Repost something from 2+ years ago. Post some funny image I find online. Do a question/answer post (it's about time for one of those, by the way). "I should be writing instead." I've got no good answer for this. My excuse is that I find it really difficult to write when my kids are around, but for some reason I can blog just fine. It may be that when I have deadlines and book tours and all the other fancy stuff that best-selling authors have to do (IT WILL HAPPEN), that I'll have to stop blogging entirely, or at least cut back. But for now, so long as my writing isn't suffering, I'm going to keep figuring out what works. What about you? Do you blog? Have you ever thought about quitting? Guys, if you haven't seen Dr. Horrible yet, find a way to see it RIGHT NOW. It's only 45 minutes long, and it's the best Joss Whedon supervillain musical starring Nathan Fillion and Neil Patrick Harris EVER. Let me chat up my brother for a bit. 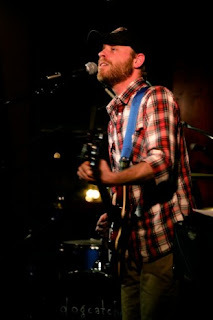 The guy plays piano, bass, and guitar at a professional level. The San Diego Union Tribune once described his singing: "like if Jack Johnson weren't so dang annoying." He makes art and sells it for actual money. He does graphic design, marketing, and was a founding member of San Diego's art collective, Sezio. Also, he's a college-educated engineer and (thanks to Iraq) a war veteran. So yeah, talented. For years, I was in awe of what he could do. I'm still, always extremely impressed by what he does, but I'm no longer in awe. I know how he did it. I remember the first time Andrew picked up Dad's classical guitar and had trouble banging out the theme to Spyhunter. I remember that, even though I sucked at piano, I was ahead of him in our lessons. I remember doodling at an equal level on the church bulletin during sermons. When we were kids, he was no better at these things than I was, and I wasn't very good at them. He surpassed me because he didn't quit. While I was working out how to program a text adventure, he was working out my dad's old banjo or ukelele. When I beat Fool's Errand, he was recording songs on the keyboard. When I was ten pages into my crappy Lord of the Rings knock-off, he was filling his tenth sketchbook. Whenever he came across a challenge, he faced it again and again until he beat it. THAT is the secret to being talented. It's possible that some people start off with a little more ability than others. I don't know. I've never seen proof. Andrew is the most talented guy I know, and when I think about where he started, I realize I had started in the exact same place. This isn't to belittle Andrew's accomplishments at all. The opposite, actually. I would much rather someone praise all the work behind what I did than tell me I was given a gift nobody else was. It's also to encourage you. Is there something you wish you were better at? You can do it. It's freaking hard work, but you can do it. (Can you succeed professionally at it? Well, that's not really up to you. I bet you've never heard of my brother's band). Instead, focus on what you can control. Choose what you want to excel at, and work at it everyday. Even when it gets hard. Especially when it gets hard. Until one day someone looks at what you're doing and says, "Hey, you're really talented!" Then you can tell them your secret. I'm going to start with a little formal logic here, but don't be scared. 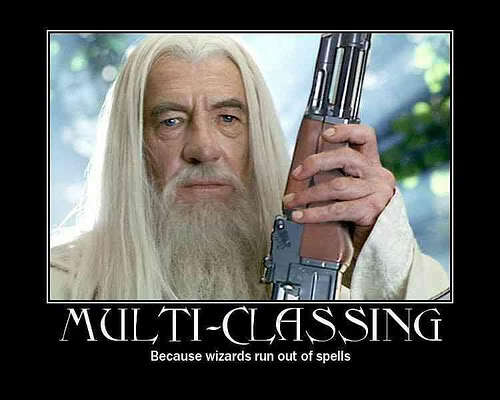 Logic is AWESOME. If you screw up a query letter, then you will get a rejection. Therefore I screwed up my query letter. THIS IS NOT NECESSARILY TRUE. Not only is it a logical fallacy, but believing this will cause you to obsess over your query letter when the problem may lie elsewhere. The writing isn't "there" yet. The story is a subgenre that the agent doesn't really care for. The idea doesn't click with that particular agent. The idea is good, but that agent doesn't know how/where to sell it. The idea is too close to that of one of the agent's existing clients. There are more, but you get the idea. With the exception of the first, you have little or no control over these. This is why you query widely. You can't know what will click with which agent, or which agent has a client who writes stuff just like you. And to item #1, yes. Agents can divine writing ability from your query letter (spend a week in a slush pile and you can, too). This is the difference between "not screwing up" and being awesome. If you avoid all the major mistakes, but you're not getting any requests, tweaking the query might not help. You might just need more experience points. Write more, critique, and get critiqued. 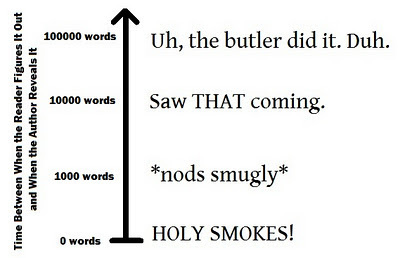 Then come back to your query -- and your novel -- at a higher level. Lastly, even an awesome query gets rejected. A good request rate is usually around 10-30%, for many of the reasons listed above. This is a subjective business. Get used to it (he says to himself). Bottom line is there is no easy answer. Avoiding mistakes will not get you an agent. Writing something awesome, and finding an agent who agrees with you, will. 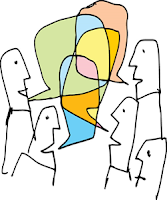 They say -- quite rightly -- that the most effective kind of publicity is word of mouth. But in my experience, word of mouth has two kinds. There's the natural kind, where someone reads a book (or sees a movie, or whatever), loves it, and tells their friends about it because they want to share the love. Natural word of mouth is extremely effective, because it's honest and it comes from people you trust. Then there's the artificial kind, which is harder to define. It might be tweeting about something to enter a contest, for example. Or giving someone a 5-star review in the hopes they will do the same for you. Or blogging about a friend's book because they're your friend, not because you actually read/liked the book. Artifical word of mouth is not inherently bad, but it's not publicity. It's more like marketing, a paid advertisement. People know it's not coming from a real place, but at the same time it may be the first or only time they hear about your book. Artificial WoM has a mildly effective, short-term effect. It's a good way to grab votes or one-time donations, and if you have a product that people like, it can be a good starting point for natural word of mouth. But by itself, artificial WoM is pretty poor at creating a fan base. Worse, if used too much, it can have a negative effect. People can tell the difference between artificial and natural word of mouth, and while we understand the need for the artificial kind, we don't like it. After a while, it gets annoying. Even worse than that, it can devalue what you have to say. If all your reviews are 5-stars, the stars become meaningless (seriously, guys, real books get 4 stars too). If you frequently talk up books that are written by your friends and -- let's be honest -- aren't that good, people will stop listening. The guys at Penny Arcade impressed me a few years ago when they started accepting paid ads only for products they've tried themselves and actually like. Now it's the only place on the whole internet where I actually pay attention to the ads. They've made a natural thing out of something artificial. We don't have to go that far (shoot, most of us don't have the clout to), but our words do have value. Be aware of that, and use yours wisely. What's your opinion? Can artificial word of mouth be effective? You may recall that, before I got an agent, I had a referral to another agent. A lot of writers believe you have to know someone to get an agent -- that the industry is exclusive and likes to stay that way. It's an understandable belief what with all the rejections we all get, and there's even a teeny tiny bit of truth to it (e.g. we read things more favorably if we know the person). Critique other authors' manuscripts. Again, whether they're published or not, and without caring whether they can critique yours in return. In fact, assume they won't. When you have a manuscript for critique, ask these same author friends. When you ask, treat it like the huge favor it is. Critiquing an unpublished novel is a lot of work, so be very, very nice when you ask, and make it clear that you understand if they can't/don't want to do it (that is, make it easy for them to say no). It's hard to go overboard on this. If one of your critiquers is in a position to give you a referral, don't ask for it. Asking for a direct referral only puts them in an awkward situation. If they love your manuscript AND think their agent will love it (these are two different things, by the way), they'll probably tell you. If you think they're not for some reason, then just ask if they think it would be a good fit for their agent. People don't always like this advice, because supposedly it "never hurts to ask" and because what's the point of creating a network if you never use it? The thing is, it can hurt to ask, especially if you're pushy and don't take no very well. You can lose a friend. (I guess you could also lose a network contact but, I dunno, I think losing a friend is worse). And in this case, in my opinion, it doesn't hurt to not ask. The query system works, guys, and I'm not just saying that because I got picked out of the slush pile. I've always said that. If your work is good, and it's right for the market, it will find a home. If it's not, a referral isn't going to change anything. Usually a referral will only get you a quicker rejection, and handled badly, it can lose you a friend. To me, that's not worth it. Don't hunt for mythical shortcuts. Use that time to become a better writer instead. Many of you have been asking to see my query letter. Well, today's the day. To see the Air Pirates query, along with comments from myself and Matt MacNish, go visit Matt's blog. (If you'd like to read the query without comments, I've pasted it below). But wait, there's more! To read more about Air Pirates, how it came to be and why my agent likes it, head over to Krista V's blog (wherein also my agent makes MY NEW FAVORITEST COMPARISON EVER). What are you still doing here? Get thee to Matt and Krista's blogs! For Hagai's 17th birthday, he receives a stone from his mother that shows visions of the future. The thing is, Hagai thought his mother was killed ten years ago. The bravest thing Hagai's ever done is put peppers in his stew, but when the stone shows his mother alive and in danger, he sets out to find her. Air pirates are hunting the stone too, and it's not long before a young pirate named Sam nicks it. Hagai tracks Sam down and demands the stone back--politely, of course, because Sam's got a knife. Oddly, Sam offers him a job. He needs someone non-threatening to consult a seer hiding among the monks, and he reckons Hagai is as non-threatening as they come. Hagai agrees, intending to turn Sam in at the first opportunity. But when the seer says Sam is the key to finding his mother, Hagai chooses his mother's life over the law. Though Sam has the Imperial Navy and the world's most ruthless pirate on his keel, Hagai joins Sam's crew, headed toward some godforsaken island he's never heard of. He doesn't trust Sam, and the stone haunts Hagai with visions of his own death. 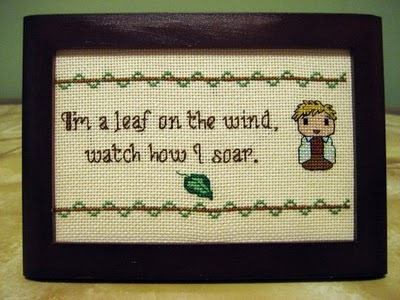 Nonetheless, he's determined to change the future and find his mother, if it's not already too late. AIR PIRATES is an 84,000-word YA steampunk adventure, set in an alternate world. 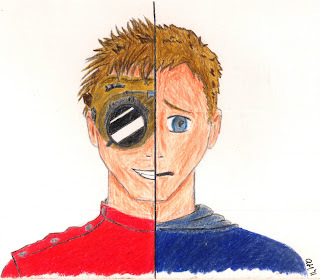 I think it would appeal to readers of Scott Westerfeld's LEVIATHAN trilogy. My short story "Pawn's Gambit," set in the same world as AIR PIRATES, has appeared in BENEATH CEASELESS SKIES and THE BEST OF BENEATH CEASELESS SKIES, YEAR TWO anthology. In the last post, I talked about misdirection as one of the ways you can hide a secret and fool a reader until that critical reveal. But how do you do that? I think one important aspect of misdirection is to believe your own lie. The character's body is never shown or they died in an ambiguous way. The other characters are melodramatic or otherwise overreacting to the death. The other characters don't try very hard to determine if the character is really dead. A main character dies anywhere other than the climax. The character who died is someone normally considered safe (e.g. the hero, a point of view character, an innocent child, etc). That's not to say you can't do these things, but the more of these tricks are present, the harder it will be to convince the reader the character is really dead. If you want a fake death to be convincing, write it as if it were an actual death. You may not be able to show the body (though if you can, that's even more awesome), but have the other characters in disbelief. Not just disbelief, but actively trying to prove the character is really alive (check breathing, do CPR, call a doctor, etc). The story might require the fake death to be before the climax (hi, Gandalf), but the longer the story goes without the character showing up, the more the reader will be convinced it actually happened. (Some readers -- not me -- might be in such utter disbelief that they -- not me -- will actually skip ahead in the novel to see if the death really happened. I, of course, would never do this. Not even if [spoiler redacted] from Song of Ice and Fire was struck in the back with an [spoiler redacted]). You can do this for any kind of secret. Just think of the tricks you look for as a reader, then use them to your advantage. I probably shouldn't ask where you've seen good character deaths, should I? Too many spoilers. Also the ones I can think of are characters who actually died, but I refused to believe it. I can't think of a story with no mystery at all, whether it's a revelation of secret paternity, a mentor back from the dead, or a social worker with government connections. So as a writer, you have to figure out how to hide your secret long enough to surprise the reader. Unfortunately, readers will be trying to figure out your secrets the whole time and, as we've said before, they are super geniuses. Their reaction is directly related to the amount of time between when they figure out your mystery and when you reveal it. Obviously, you want them to figure it out as late as possible (zero words; though a smug nod is okay too; it means the reader thinks they figured it out before "most people," which makes them feel good about themselves). You should know this is very hard to do without trial and error, which is why God created beta readers. A good beta reader can help you figure out which secrets are working, which are not yet, and which are so annoying because oh my gosh it's so obvious HE'S YOUR LONG LOST TWIN BROTHER, YOU TWIT!! 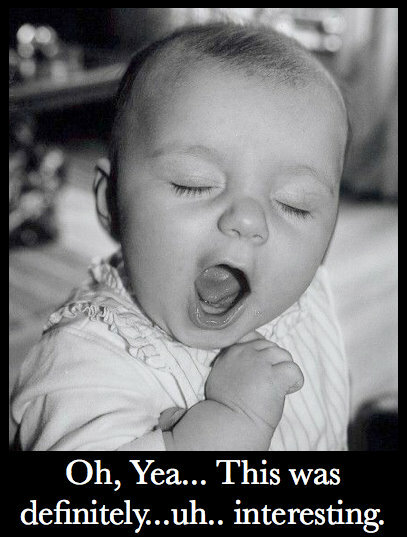 When you find readers are picking up on a secret much too early, there are at least two things you can do. 2. Add misdirection. Make the reader think they know what's going on, even though it isn't. Scooby-Doo was a master of this . . . for 7-year-olds. If your audience is any older, you'll have to get more creative. The trick, I think, is to believe your own lie as you write it. I think I'll talk more about misdirection later. For now, do you guys have any other ideas for successfully hiding a secret from the reader?